For our second spotlight I wanted to feature our JCPS SLP of the Year, Sheneh Raymer. If you weren’t at our Dec. 1 meeting you missed out! We will have a SLP of the year annually and our first honoree is Shaneh! Congratulations, Shaneh! Here’s some cute that Aubrey Apel and I put together last year. It’s a fun, religion neutral, themed unit. It addresses several goals and can last from Thanksgiving until winter break. You could of course make cookies, but at my sites, I can’t do food. Aubrey Apel and I used the attached patterns. 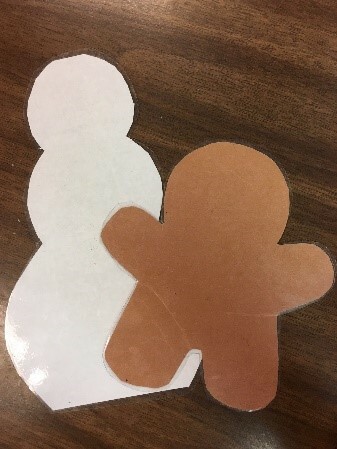 We cut the snowmen from white paper, the gingerbreads from brown paper and laminated several of each. 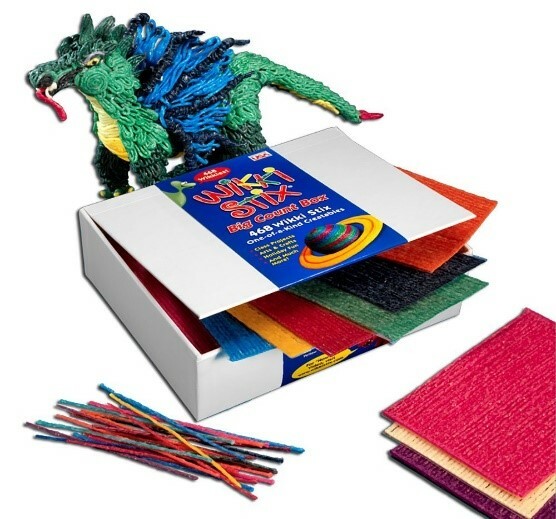 The students decorated them (sometimes as a barrier game, sometimes just for fun) using Wikki Stix/Bendaroos (pictured below). We described the finished “men,” took photos to hang on the walls, then cleaned them up and started over. Several students gave their gingerbread people super powers, bringing the conversation to a whole new level. Here is a template for the figures. 1. A printable Compare-Contrast book with EET color-codes and symbolated text. 2. An on-screen drag and drop sorting activity. Watch the video or tell the story using a storybook. Check that your version of the story has the same details as the jeopardy game before using it. You can edit the game as needed. I tell the story from memory using picture supports and compare comprehension of a story to comprehension of a video. The lesson just uses a 10-minute clip. Play the video up to the point where the policeman hollers “stop!” (10:20 on the time counter). The Jeopardy questions cover just that section of the film. We did this as a “whole class” push in during the last days before break. Teachers enjoyed the break and were sometimes surprised at how many students did not comprehend or recall parts of the film.